Did you know that Western Sahara has the world’s longest conveyor belt? From the large Bou Craa phosphate mines, Western Sahara’s phosphates are transported a distance of more than 100 km, ending up in the El Aaiún harbour, Western Sahara’s capital. From there, cargo vessels transport the phosphates to various countries, where they are utilized in fertilizer production. The industry has been providing Morocco with huge incomes since the occupation started. In 1968 there were 1600 Sahrawis employed in the phosphate industry in what is today occupied Western Sahara. Today, most of them have been replaced by Moroccans that have settled in the territory. The industry now only employs 200 Sahrawis of a total work force of 1900 employees. The Sahrawi employees experience discrimination relative to their Moroccan colleagues. Very few Sahrawis have been promoted since 1975, most have been sacked. A UN delegation that visited the formerly known Spanish Sahara in 1975, as part of the de-colonialization of the territory, stated that “eventually the territory will be among one of the largest exporters of phosphate in the world” (Shelley 2004:71). According to their assessment, a free Western Sahara would become the second largest exporter, only beaten by Morocco. However, only a few months later, Morocco invaded Western Sahara. 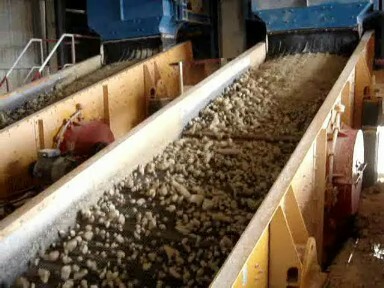 Today, the phosphate production in Bou Craa amounts to 10 % of Morocco’s total production. Bou Craa annual production is around 3 million tonnes, contributing substantially to Morocco’s national income. During the war between Polisario and Morocco during the eighties, damage was inflicted on the mines as well as the conveyor belt system. This caused stoppages from time to time. Attacks on the system ended when ceasefire was agreed in 1991, but on several occasions later, the belt has again been subjected to sabotage, such as September 2007.